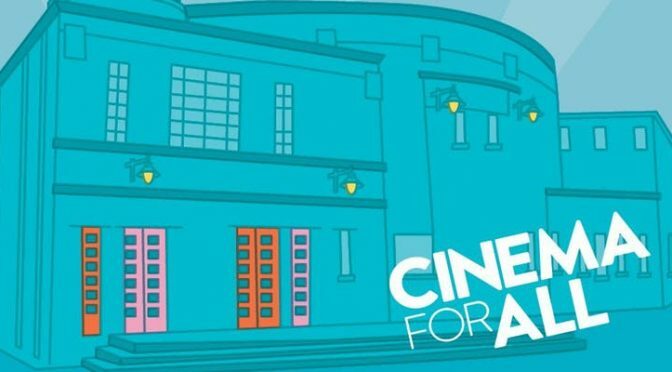 In anticipation of Film Hub NI’s Cinema Day, join the Cinema For All team on 19 August as they host a special afternoon celebrating community cinema at the Baltic Bar in Bullit Hotel, Belfast! Beginning with a networking workshop, Cinema For All will bring community cinemas and exhibitors from the region together for the opportunity to get to know each other, share issues and ideas, and learn from one another. You’ll then take part in a mini masterclass in Immersive Cinema. Covering the basics of creating immersive screenings, the benefits and challenges, as well as showcasing this type of cinemas’ ability to build audiences and create unique, memorable events. Finish off the day with a drink and the chance to keep those conversations going and network further. Sara from Film Hub NI will be available from 2pm to chat about Cinema Day so if you’d like to catch up about marketing, event logistics or evaluation please come down before the workshop.